Physiotherapist Jimmy Goulis, received the award for ‘Clinical Excellence’ at the recent Quarterly Staff Recognition Awards. The award recognises a clinician or clinical team generous with knowledge, who instils confidence in patients and colleagues, and achieves excellent patient outcomes. Jimmy’s Northern Health journey started eight years ago, when he was bringing his father to hand therapy appointments at the hospital. “The hand therapy team who dealt with my dad were so skilled and kind and made a great impression on me. 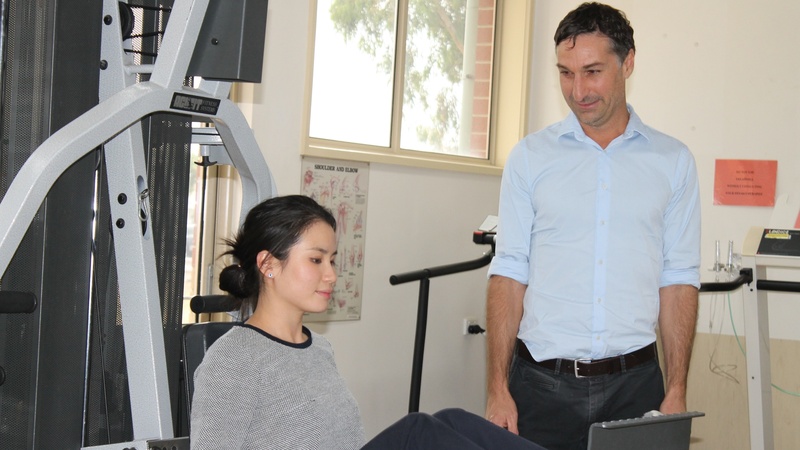 Shortly after this, I saw a job come up as a grade 2 outpatient physiotherapist and that’s where it all began,” he says. Fast forward to 2019, and Jimmy has been instrumental in leading outpatient musculoskeletal physios at Northern Health. He has also implemented advanced musculoskeletal physiotherapy services such as the Post Arthroplasty Review Service at Northern Health. This service came about due to the high volume of patients having joint replacement surgery and then requiring post-op review services. This is a collaborative service that continues at Northern Health and it runs alongside orthopaedic surgeons. Recently, Jimmy has embarked on a new clinical challenge, working in an Advanced-Practice role in the Emergency Department (ED). In this position, Jimmy assesses and manages patients with musculoskeletal complaints alongside ED medical and nursing staff. He describes working in the ED as his most challenging clinical role to date, but is enjoying utilising his skills in this setting. Jimmy isn’t foreign to high-pressure environments, having worked in the military in England for 5 years. “I’m proud to say I work at Northern Health. We provide great services to a community that really needs medical and allied health services. What I enjoy most is the supportive and collaborative environment and the many opportunities available,” Jimmy says. Sponsored by Maxxia and BankVic, our Quarterly Staff Recognition Awards have been designed to formally recognise outstanding contributions by our employees and celebrate staff excellence.